Facebook announced Friday that it is suspending another data analytics firm pending an investigation into how the company used its data. Facebook's decision to suspend Crimson Hexagon comes as Facebook faces continued fallout over how it handles the personal data of its 2.2. billion monthly users. The Wall Street Journal, citing people familiar with the matter and federal procurement data, reported Friday that Crimson Hexagon had contracts to analyze public Facebook (FB) data for several US government agencies and an unnamed Russian nonprofit. "We don't allow developers to build surveillance tools using information from Facebook or Instagram," a company spokesperson told CNNMoney. "We take these allegations seriously, and we have suspended these apps while we investigate." In response to the story, Facebook said it has so far found no evidence suggesting Crimson Hexagon inappropriately obtained Facebook or Instagram data -- a point the analytics firm reiterated to CNNMoney. "Crimson Hexagon is fully cooperating with Facebook who has publicly stated its investigation to date has found no wrongdoing," company CTO Chris Bingham said. In a blog post, Bingham made clear that "Crimson Hexagon only collects publicly available social media data that anyone can access" and, "Crimson Hexagon does not collect private social media data." 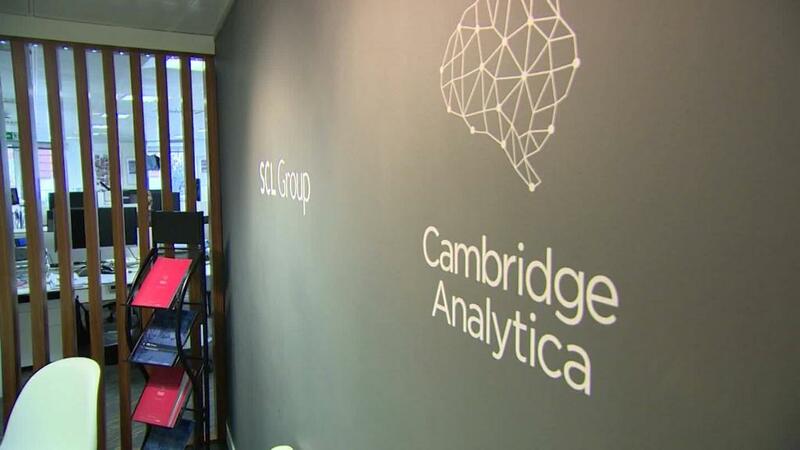 Facebook's investigation into just what Crimson Hexagon was doing comes four months after the company suspended the political data mining firm Cambridge Analytica amid allegations that it gathered data on tens of millions of users. The now-defunct company worked on Donald Trump's 2016 presidential campaign.